As a retired wordsmith and video producer, I pay critical attention to the take notice of "great" television commercials, as compared to "pedestrian" [adjective] television commercials. 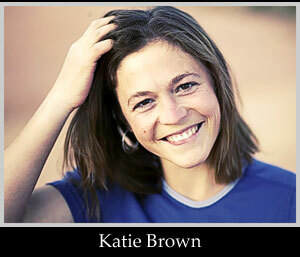 A "great" commercial projects a message with eye-catching visuals and a riveting sound track. Citibank is currently running flight of a "great" commercial featuring a young lady preparing for a weekend date with her boyfriend. Nay Sayers attribute the sequence with, at least, another example of a Photoshopped world, created by CGI - computer generated imaginary. 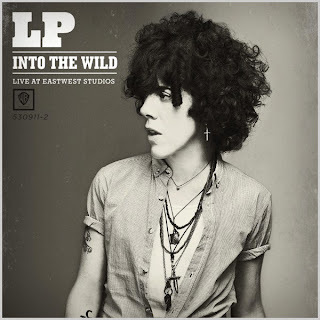 Not so fast with the critical reviews! 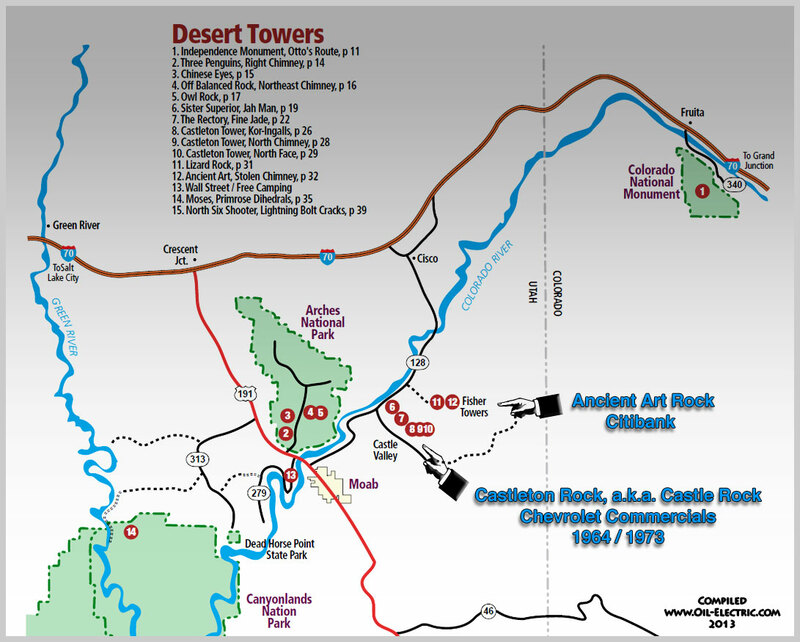 The eye-catching visuals are provided by Ancient Art rock, part of the Fisher Towers formation, overlooking the Colorado River near Moab Utah. And rock climbers Katie Brown and Alex Honnald. Here is an illustrated narrative demonstrating the behind the scenes effort required to produce the commercial. This isn't the first television commercial to be shot on top of a rocky pinnacle overlooking the Colorado River. 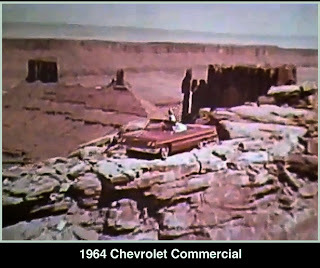 Back in 1964, I read an article in Broadcasting Magazine about a Chevrolet commercial shot on Castle Rock in southern Utah. It has an unusual backstory. 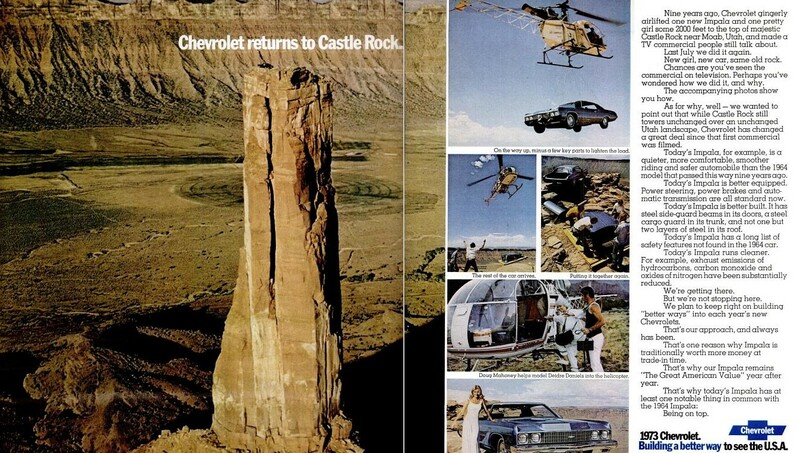 According to the book "From Those Wonderful People Who Brought You Pearl Harbor," a book about advertising, a Bell 206 was used to sling parts of a stripped down Chevy to the top of Castleton Tower, also known as Castle Rock, part of the Fisher Rock formation in Moab, Utah. A mechanic was dropped to assemble the automobile. Then a pretty young model, Shirley Rumsey, was air lifted to the re-assembled vehicle atop the 2,000-foot spire. 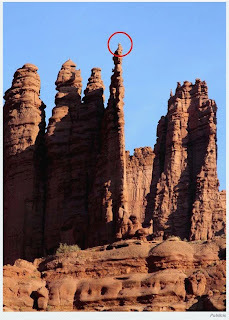 Rather than leave Ms. Rumsey alone in that precarious location during the helicopter filming runs, it was decided the mechanic would stay behind to provide moral support. He was hidden on the backseat floor beneath her full dress. The 206 landed at base camp, to have the camera installed, then proceeded with the camera crew to film the commercial. Once filming was finished, the 206 landed to have the camera crew and gear removed before returning to pick up the mechanic and model. 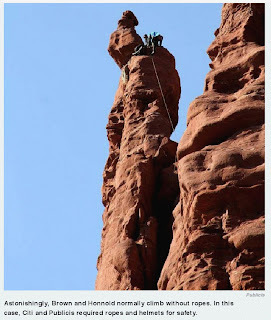 Problem was, the winds had become so strong that landing on the pinnacle was out of the question. And by the time the wind had died down, it was too dark to fly! It was a cold night for the hapless mechanic and young model. 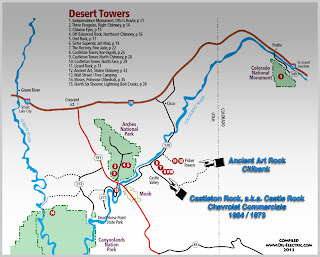 Campbell-Ewald Agency was the creative force behind the adventure. In fact, they coined the infectious Dinah Shore "See the USA, in your Chevrolet" jingle. After all that effort, the ad only appeared in a two-page spread, in the December 29, 1972 issue of LIFE magazine. 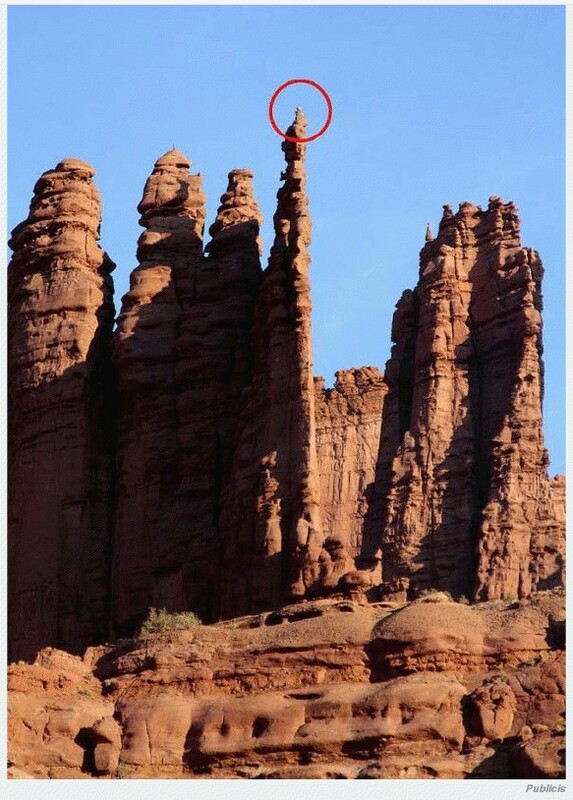 Deidre Daniels is shown waving to the camera from the top of Castle Rock as well as being helped into the helicopter. 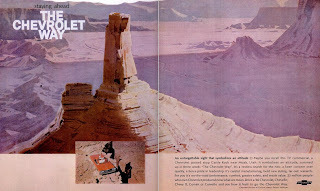 In April 2010, GM moved Chevrolet advertising to Publicis Worldwide, ending a 91-year relationship between General Motors and Campbell-Ewald. The point of creating commercials with eye-catching visuals and a riveting sound track, is to grab and hold the viewers' attention. However, there are those who uncover the true hidden meaning and message, like this analysis f from Betsy Hart. Ms. Hart writes articles on family issues for the Scripps Howard News Service. "This is a tough girl who eschews those silly feminine trappings of fashion for real power - high heels for high rocks. And that rock on the third finger of the left hand? Who needs it? Especially when she has all those handy-dandy "thank you" points instead. "Well, let me offer this: Her Citi "thank you" points are not going to keep her warm at night. And they are not going to help her with the baby if she gets pregnant by the boyfriend she doesn't think she needs to marry. Or, rather, who doesn't think he needs to marry her. 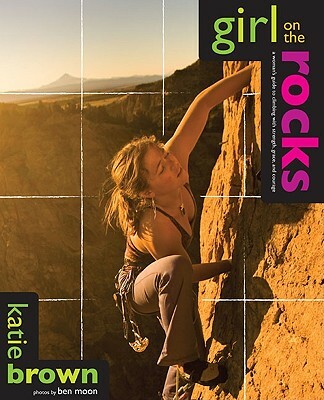 So what's to keep him from finding a younger, more attractive rock-climber?"